In a bid to create awareness against witch hunting and superstitious beliefs, Numaligarh Refinery Limited (NRL) in collaboration with Angeekar Films screened Aei Maatite, a feature film which deals with the said subject and raises awareness against the menace, at several rural areas in Golaghat district recently. During the five-day campaign launched by NRL and Numaligarh Sodhanagar Sakha Sahitya Sabha, special shows of Aei Maatite were organised at Mahuramukh, Bahikhowa village (Bokakhat), Betoni village (Sarupathar), Furkating and Numaligarh. Madhuchanda Adhikary, Deputy General Manager, Corporate Communications, NRL, said that nearly 10,000 people were covered in this drive which elicited a positive response with many villagers contacting the organisers and wanting that more such screenings of the film be organised at other interior places, where such deadly practices are still going on. “In many of the places, where the film was screened, there were no electricity connection at all and the show was conducted by running generator sets,” she further said. 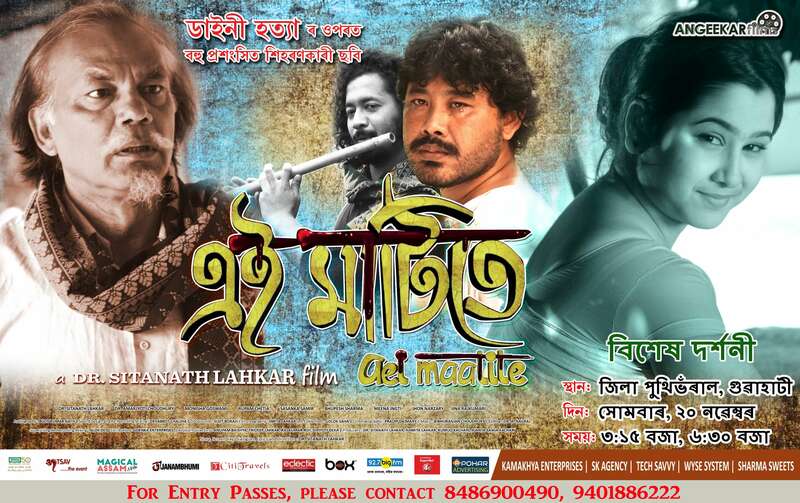 In Aei Maatite, the first Assamese feature film on witch hunting, director Lahkar, mainly talks about the witch hunting problem in Assam and how a section of people are practicing witchcraft keeping in mind their own interests. The film has a very strong message against witch hunting, upholding the value of scientific temperament and human life. Witch hunting is not based on any reason at all and is shrouded in the darkness of superstition, which is to be overcome by society, itself.